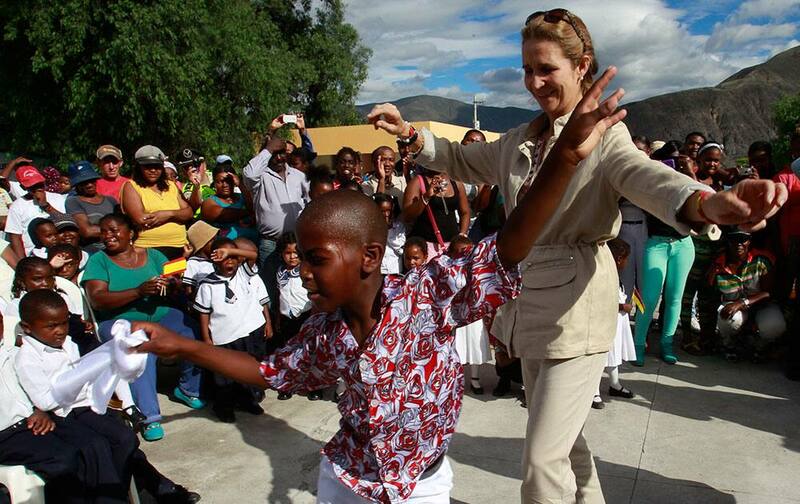 Spanish Infanta Elena de Borbon dances with a boy from the Hernando Taquez school in Mascarilla, Ecuador. 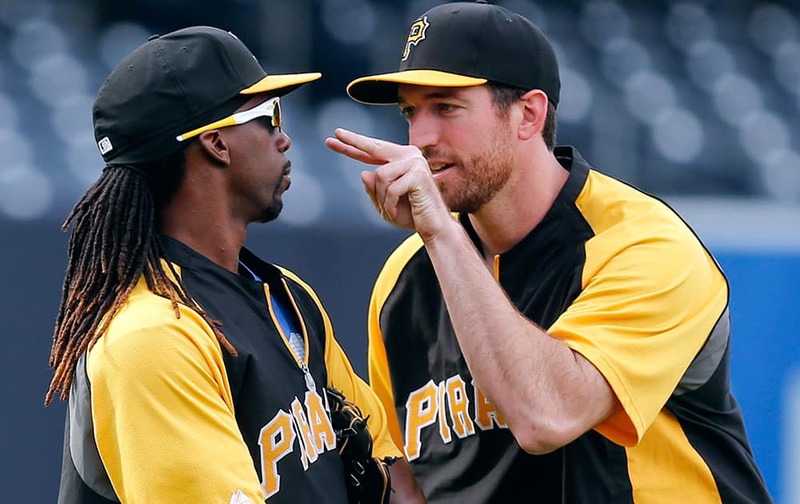 Pittsburgh Pirates` Ike Davis, right, lets Andrew McCutchen knows he is jokingly watching him before a baseball game against the San Diego Padres. 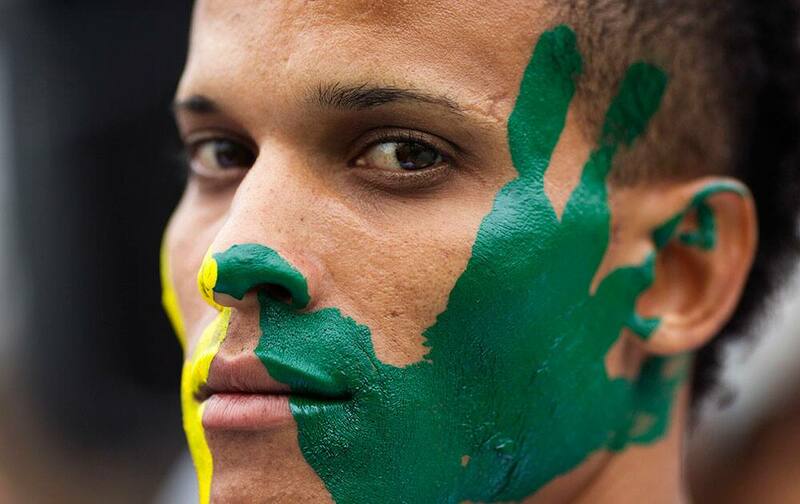 An imate poses for a picture during the opening ceremony of the football championship for prisoners at the Castro Castro Prison, in Lima Peru. 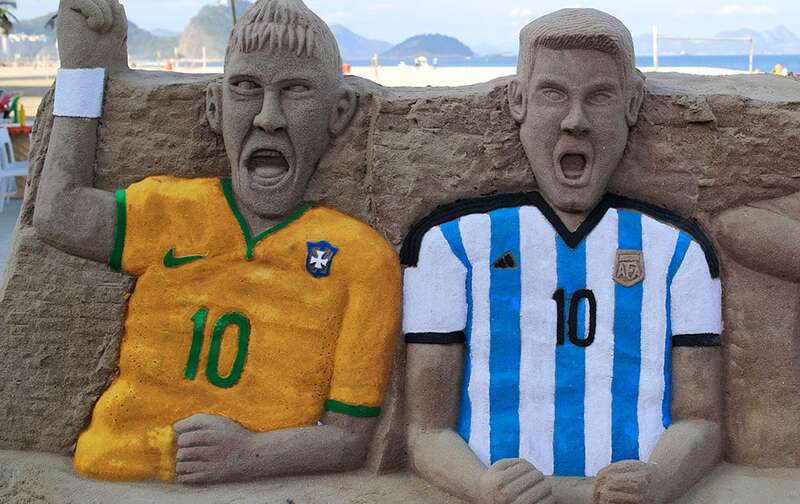 A sand sculpture featuring soccer players, Neymar of Brazil, left, and Lionel Messi of Argentina, on Copacabana beach in Rio de Janeiro, Brazil. 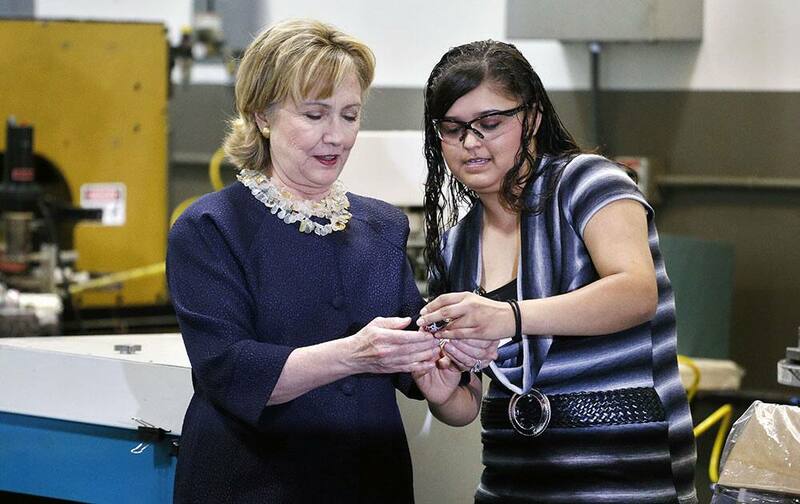 Hillary Clinton, left, talks with Intertech employee Marissa Medina, who shows Clinton a spherical decorative lip balm container she designed, during a tour of Intertech Plastics in Denver. In this 2009 photo provided by Tanya Bartholomew, her husband, former army soldier, Clark Bartholomew, is seen carrying their son Aric at Fort Drum, N.Y. The former soldier`s lawsuit alleging he bit into needles in a Burger King sandwich purchased at Hawaii`s Schofield Barracks in 2010 is headed to trial in August after a settlement couldn`t be reached. First lady Michelle Obama reacts to seeing her initials welded onto a steel plate by welder Michael Macomber during a keel-laying ceremony for a submarine that will become the USS Illinois, at the Electric Boat company in North Kingstown, RI. 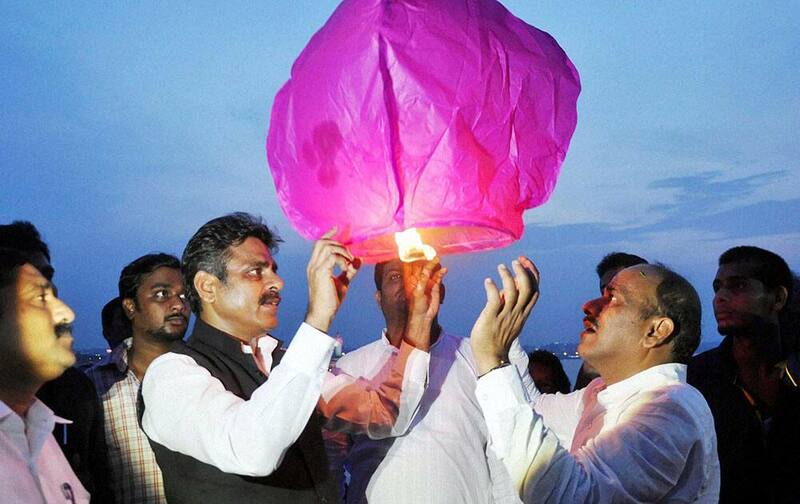 Konda Vishweshwar Reddy, M.P., releasing a sky lantern to celebrate the formation of Telangana state at Tank Bund in Hyderabad. 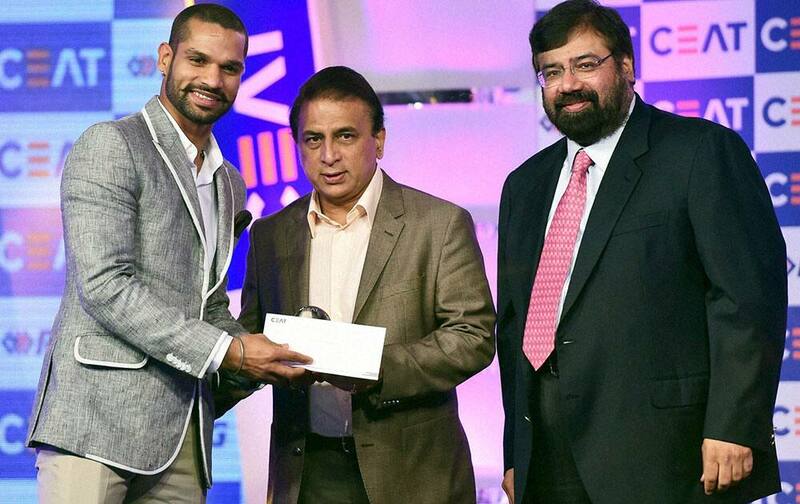 Cricketer Shikhar Dhawa receives an award from veteran cricketer Sunil Gavaskar and Industrialist Harsh Goenka during the CEAT International Cricket Awards 2014 in Mumbai. 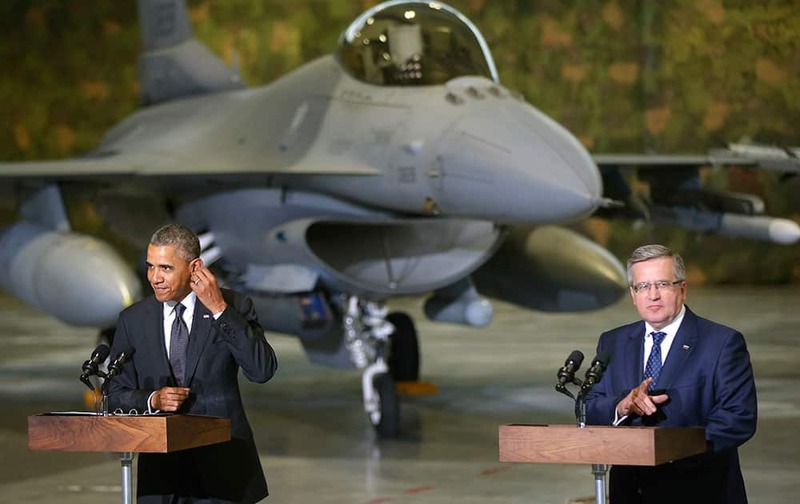 President Barack Obama and Poland`s President Bronislaw Komorowski make statements and meet with US and Polish troops at an event featuring four F-16 fighter jets, two American and two Polish, as part of multinational military exercises, in Warsaw, Poland. 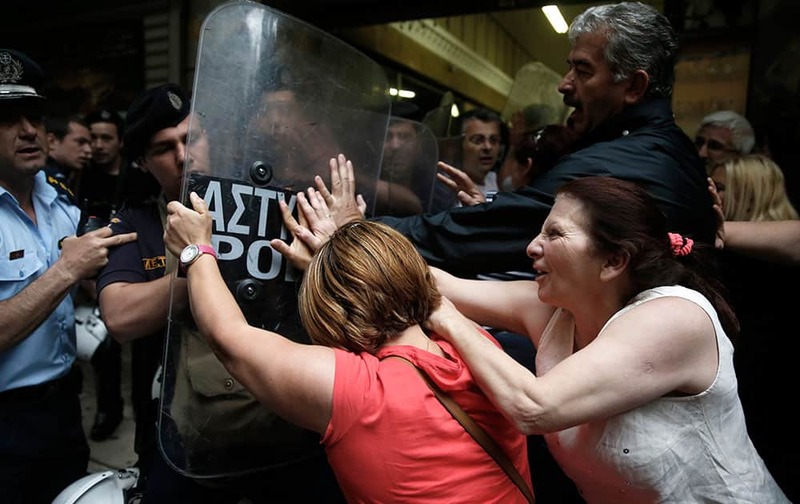 Protesting former Finance Ministry cleaning staff, who lost their jobs last year, scuffle with riot police outside a Finance Ministry building in central Athens. 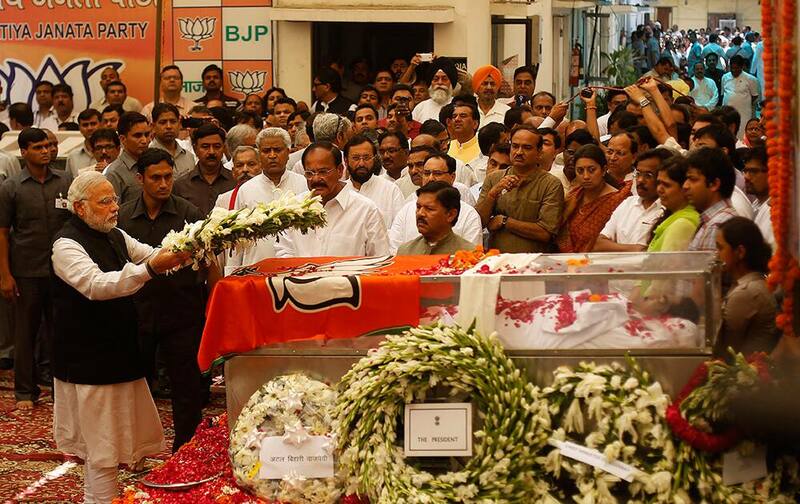 Prime Minister Narendra Modi places a wreath as he pays tribute to India`s Rural Affairs Minister Gopinath Munde in New Delhi. Munde was killed in a car accident Tuesday in New Delhi. 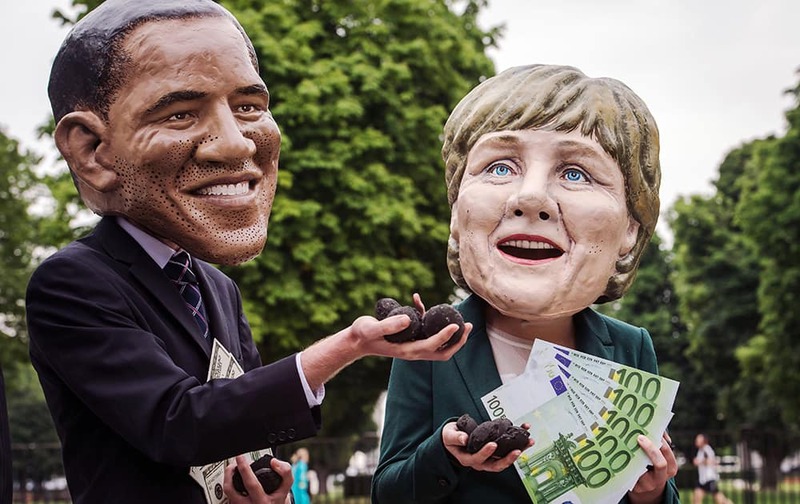 Oxfam demonstrators wearing masks of US President Barack Obama and German Chancellor Angela Merkel demonstrate for an energy secure world near the EU Council in Brussels. 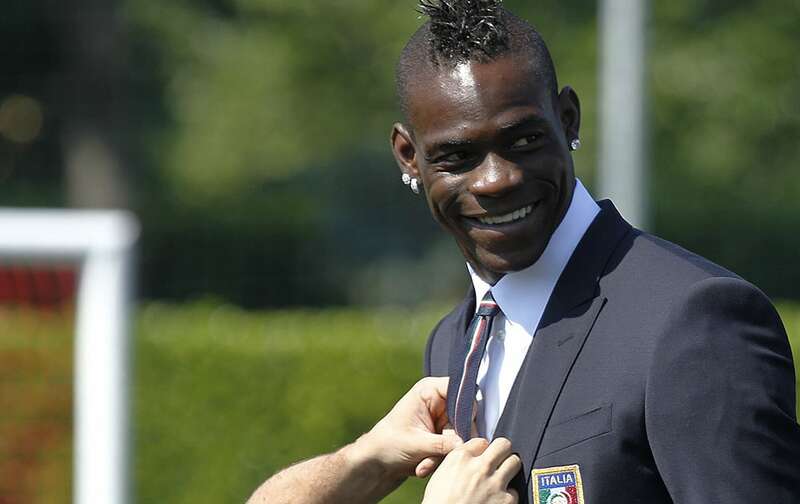 Italy forward Mario Balotelli has his tie adjusted at the Coverciano center, near Florence, Italy. 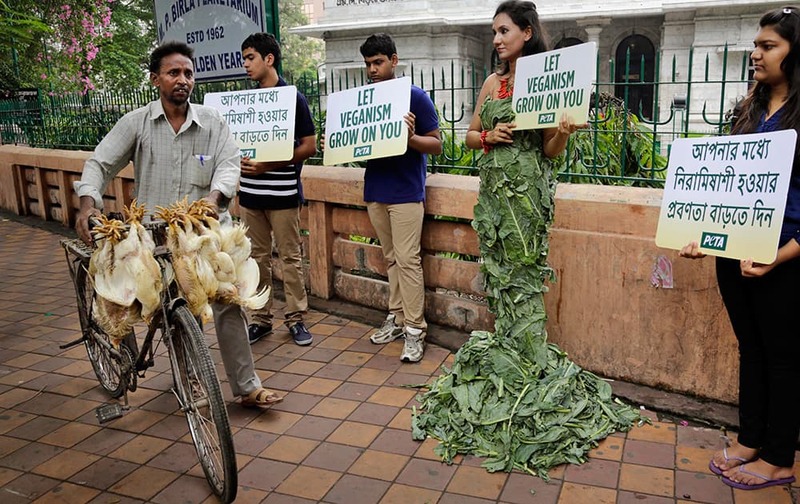 A chicken vendor with his birds walks past a People for the Ethical Treatment of Animals (PETA) activist wearing a gown made of lettuce leaves during a vegetarianism campaign in Kolkata. Hand-painted models depicting a lion`s head, pose for the photographers during a photo-op in central London`s Carnaby Street. 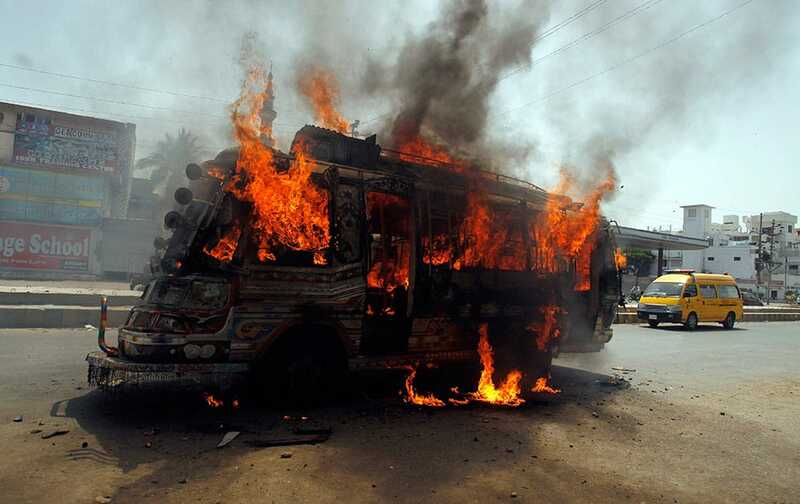 A bus burns after being set on fire by protesters condemning the arrest in London of Altaf Hussain, who heads the Muttahida Qaumi Movement, or MQM, one of Pakistan`s major political parties, in Karachi. 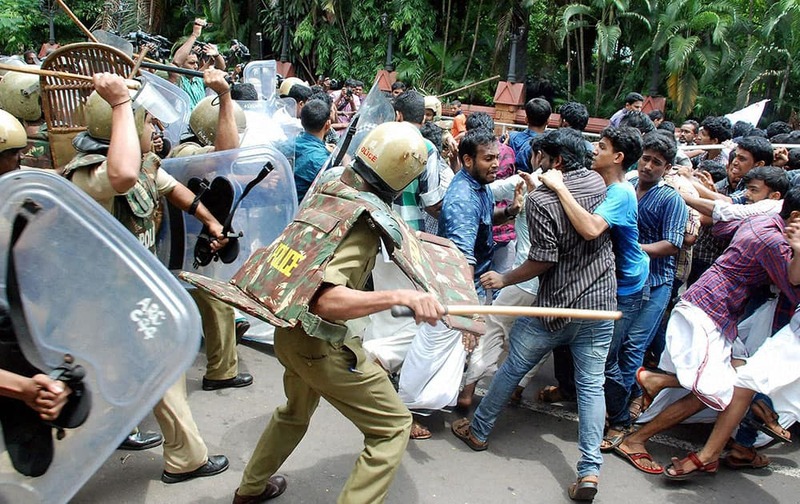 Police lathi charge SFI workers who were protesting over various issues in Kozhikode. 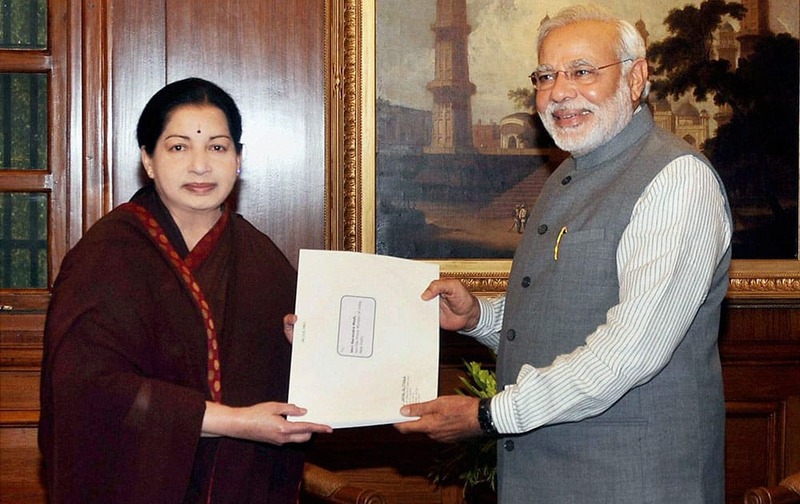 Prime Minister Narendra Modi with Tamil Nadu Chief Minister J Jayalalithaa at a meeting in New Delhi.